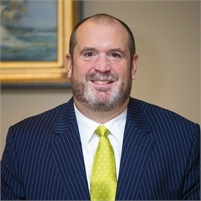 Jeff Paul | Consolidated Planning, Inc.
We help our clients achieve and enjoy financial prosperity, regardless of adverse circumstances that enter their lives. We are able to accomplish this by helping them become more organized, all while protecting their lifestyle, family and assets. Our focus on cash flow also enables us to protect, while still helping clients obtain what they want in life. Our commitment to finding each asset’s highest and best use, allows us to put our clients in position to maximize their retirement income as well as their legacy. Registered Representative and Financial Advisor of Park Avenue Securities LLC (PAS). Financial Representative of of Guardian.